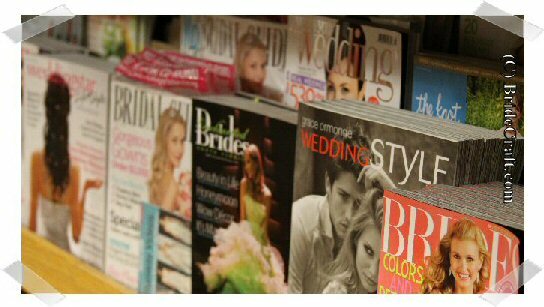 Check out our growing collection of wedding articles and useful wedding tips. Want to suggest an article or wedding tip to be included? Would you like to see an article written? Do you write wedding related articles that you feel would benefit today’s budget minded brides? Contact Us and let us know about it! 7 INSIDER tips on saving money with your wedding florist! All about bulk wedding flowers - Thoughts on where to order, easy to work with flowers and packing information. Make Your Own Invitations is written by Andrea Korin of Creative Wedding Theme Ideas. Click to read her advice for your DIY invites. Dress up the Dress! Thoughts and ideas for dress up a plain wedding dress. Toilet Paper Wedding Dress - Interview with Ann Kagawa Lee An interview with the Cheap Chic Wedding 2009 Toilet Paper Wedding Dress Contest winner, Ann Kagawa Lee. Cheap Wedding Cakes - Great Ideas to Save! Great ideas to help keep your wedding catering costs down. Wedding Cake Toppers Learn about the most popular choices to crown your cake! Save on Wedding Catering! Great ideas to help keep your wedding catering costs down. Wedding Candy Buffet All about the trend of wedding candy buffets that have been popping up in weddings. Is a Holiday Wedding for You? A piece dedicated to pointing out the pros and cons of a holiday wedding, so that YOU can decide what's best for your event. Fall Wedding Ideas Great thoughts on fall wedding ideas and inspiration. Tips For a Cheap Wedding is written by Nicola Ray, of Cheap Wedding Success. Check out her article, featuring her tips for a cheap wedding here! Confessions of a Budget Bride is written by Tracy Russell of Cheap Creative Wedding Ideas.com, a former Budget Bride who managed to plan her entire wedding and honeymoon for $6,000! Read on and let her experience help you! Save on Wedding Photography A helpful article that includes tips on saving money while still getting great photography. Inexpensive Wedding Rings A few economical ideas and tips when choosing wedding rings. Wedding Organization Good ideas to keep the Bride organized through the wedding planning process. Wedding Color Schemes - How Do Your Choose? Ideas and thoughts about where you can find inspiration for your wedding color schemes. Return Wedding Articles Library to Bride Craft Home Page.